"For as long as I can remember, life has been measured in seconds. The fewer, the better." "Sometimes you think you are chasing a gold medal, but that's not what you are chasing. You're racing to become the best version of yourself." 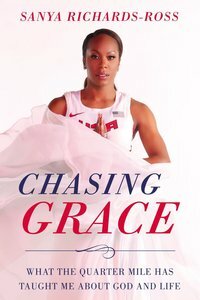 About "Chasing Grace: What the Quarter Mile Has Taught Me About God and Life"